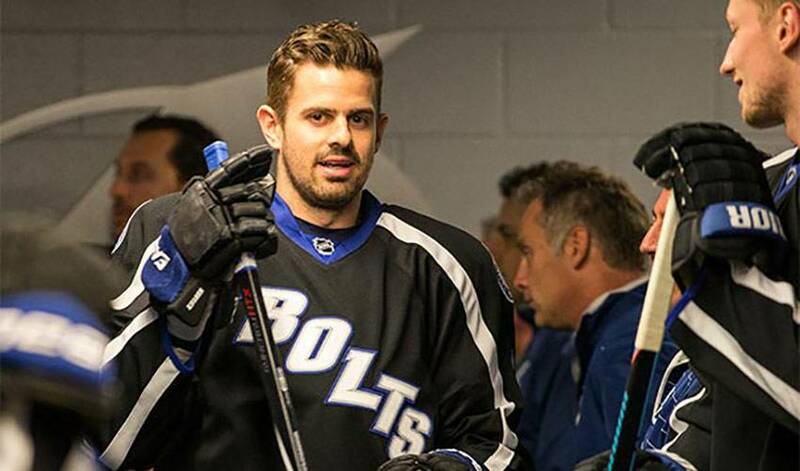 He might not have been consciously channeling two of his childhood idols when he scored the series-winning goal, but just like the pair of NHL greats, Alex Killorn was clutch when it mattered most. With the clock ticking down in the third period in Game 5 of the Tampa Bay-Detroit Eastern Conference quarterfinal, the score tied and overtime looming, Ryan Callahan spied Killorn in front of the Red Wings net. The Lightning alternate captain passed the puck to Killorn, who promptly deposited a backhand shot into the back of the cage at 18:17 of the final frame. It was Killorn’s second game-winning tally in the series after netting the winner in Game 1. Killorn has been at the top of his game, just like he was in last year’s post-season when he had 18 points in 26 games. He recorded five points, including three goals, against the Wings. Not that it’s part of his game plan, but the 26-year-old is doing a fine job emulating the efforts of two Hall of Fame legends, stars Killorn used to imagine himself as when he was a kid. While has a ways to go to catch Sakic and Bure in postseason appearances – 172 and 64, respectively – Killorn, who has 36 playoff games to his name, has shown he can make an impact during the Stanley Cup chase. His primary focus, however, remains on the big picture. So, too, was taking a break, albeit a short one, from watching postseason action every night. Killorn and the ‘Bolts are now seeking to square things in their Eastern semifinal against the New York Islanders after a 5-3 home loss in Game 1. And while he doesn’t wear Sakic’s No. 19 or Bure’s No. 10, Tampa Bay’s No. 17 is being counted on to provide some more game-winning exploits in round two. His childhood idols would no doubt agree.